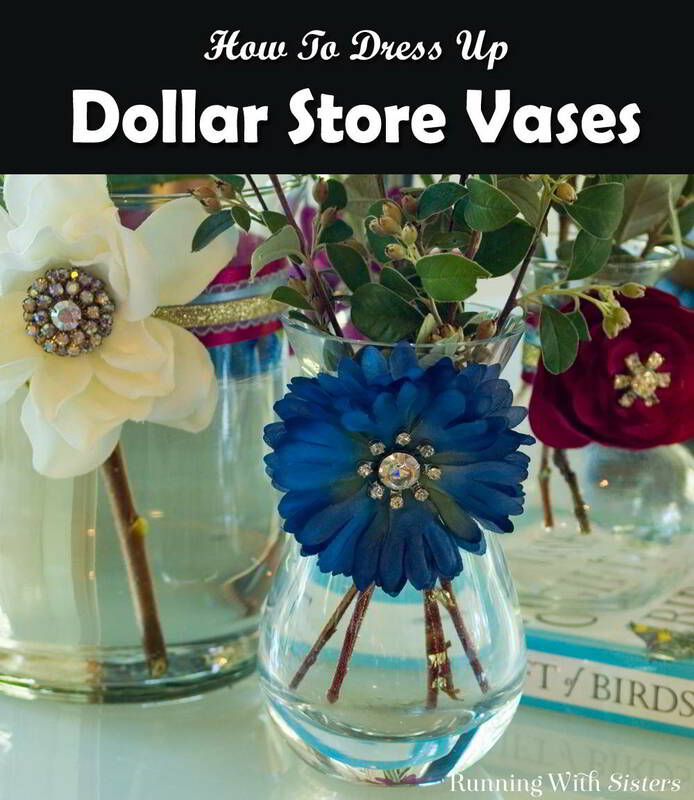 Makeover dollar store vases with ribbon, flowers, and brooches to create a playful decorator display! You can find all shapes of glass vases at dollar stores and big box stores. Some are pretty on their own, but look how fun it is to dress them up! 1. 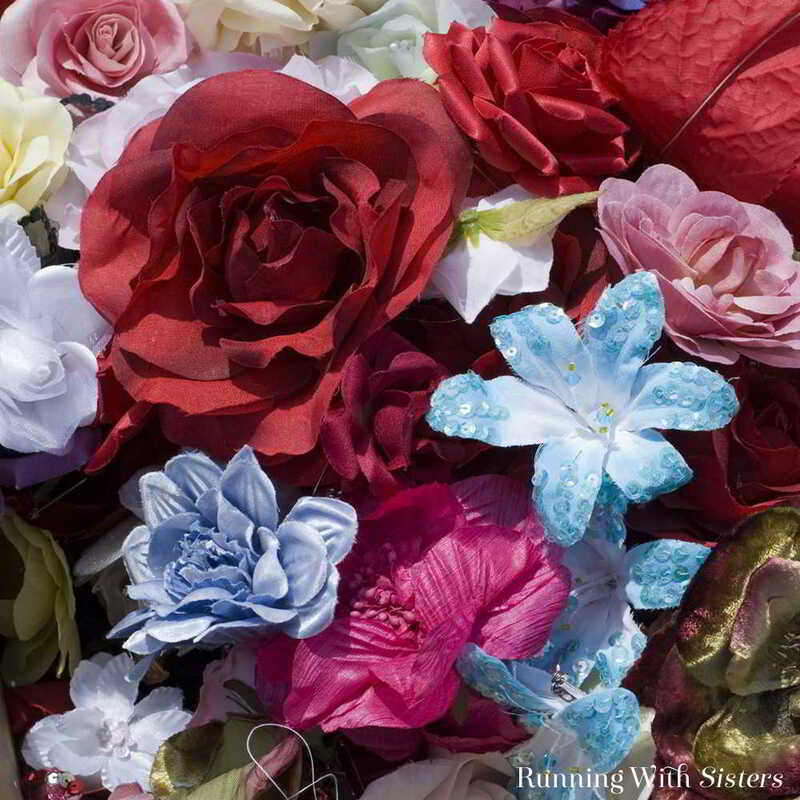 Start by cutting the silk flowers off of their stems. We use wire cutters for this. Sometimes when you cut the flowers off their stems, the layers come apart. You can add a dab of hot glue between the layers to keep them together. 2. Cut a piece of ribbon and wrap around neck of vase. Use double-stick tape to adhere. We layered thinner ribbon over thicker ribbon to add more detail. 3. Cut the backs off the shank buttons, brooches and earrings using wire cutters. We collect flea market brooches and earrings any time we see them for a good price. It’s a fun collection to raid for a project like this! 4. 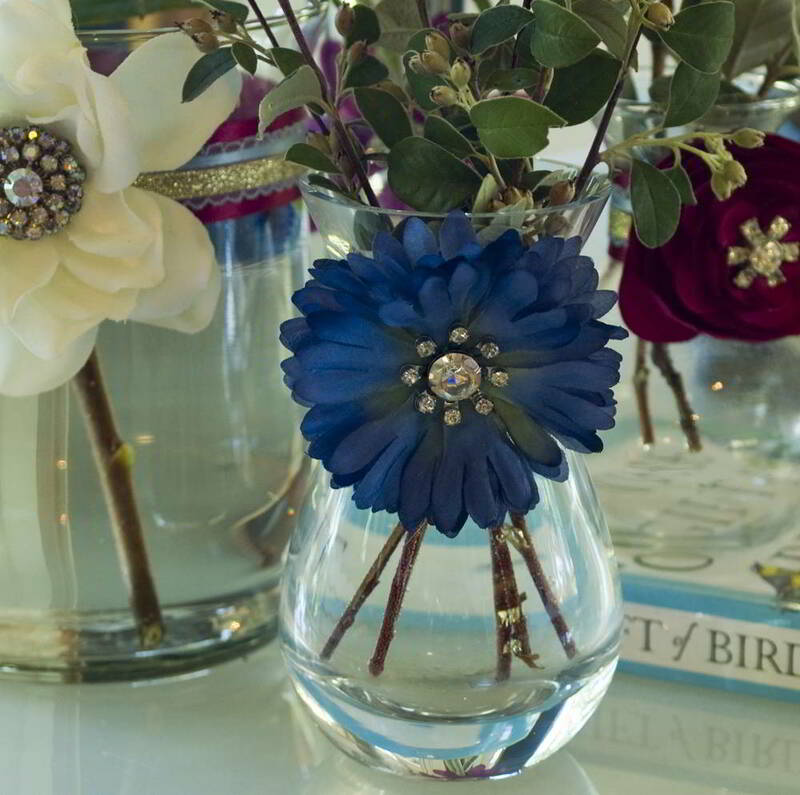 Use the hot glue gun to attach a rhinestone brooch to the center of a silk flower. Then glue the flower to the front of the vase onto the ribbon. We clustered several dressed-up vases to make a bigger centerpiece. Aren’t these fun? What do you love to upcycle from the dollar store? We’d love to hear your ideas.